An Official Information Act request by Labour health spokeswoman Annette King revealed there had been major equipment failures, including power outages to wards and an incident this year of a public ward block lift “free falling” five floors. Outgoing Health Minister Tony Ryall dropped his strongest hint yet of when a major upgrade of Dunedin Hospital could be expected. “I expect Cabinet will consider a business case next year and an announcement would be made then,” Mr Ryall said last night. 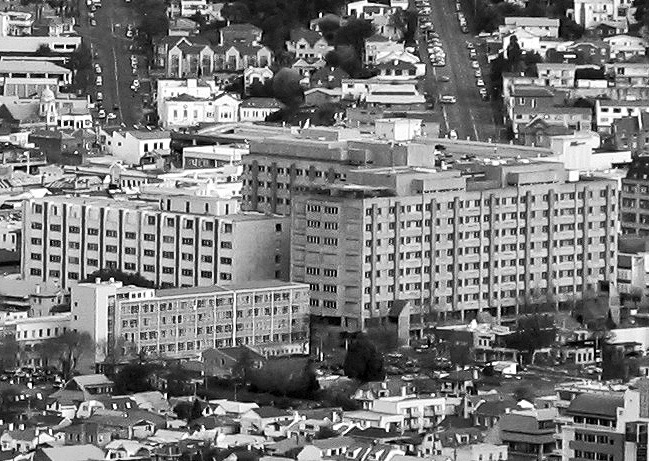 Upgrading Dunedin Hospital was “one of our next projects”, following upgrades of hospitals in Canterbury and the West Coast. There are disturbing claims the state of facilities at Dunedin Hospital are putting patients at risk. ONE News has spoken to a senior nurse and health and safety representative at the hospital who says it’s now so bad operations are sometimes being delayed. Deslee Howell has had enough of the hospital facilities after working there for the past 14 years. “This is patient safety that we are putting at risk. We’ve got new health and safety legislation coming in in 2015 and I don’t think we’re going to do well,” says Ms Howell. Ms Howell says the hospital’s windows were leaking so badly on Good Friday “it was like Noah’s Ark”. She claims that after years of complaints to management and temporary fixes, Good Friday’s downpour was the final straw.